It’s almost that time again, baseball fans. The off-season is drawing to a close as pitchers and catchers all over the MLB report this week. Pitchers and hitters have been working hard to improve in the off-season. Whether it’s better contact, better plate discipline, pitch control, getting the most out of their swing. Ball players have been working to make this season a memorable one for their respective teams and their fans. Among all this, there has been some issues and scandals such as players getting linked to PED’s, along with new owners, almost an entire team getting traded to Toronto, or at least it felt like it. Meanwhile, other teams are changing their image such as the Astros. Putting all this aside, it’s almost time to play some baseball. But as fans, we have to be informed right? Baseball is probably one of the deepest sports with minor league teams sprouting every where, it’s hard to keep track and any of those players could be called up at a moments notice and become the league’s next big star. One big influence is local talent, as our scouts get first glance at these players who could have a potential in the big league. And of course, aside from future players and local prodigies, fans want to know the deal with their current players like what they did this off-season and what did they improve on? This couldn’t be complete with a season outlook and projection, right? This is my Padres preview. 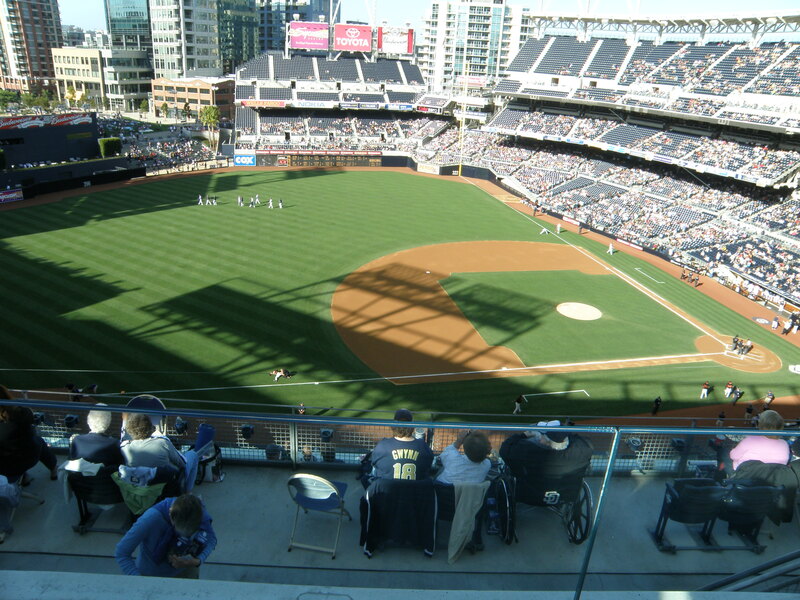 In the 2010 Padres season, many fans were surprised by their team’s result and were looking forward for the upcoming season after being eliminated from the playoffs just one game away from the postseason after blowing a 6 1/2 game lead. But instead of improving and possibly contending for a playoff spot, the Padres went 71-91 and finished 23 games out of first place in the 2011 season. You may ask, why am I bringing up bad memories? Because a lot of people brought up the ending of the 2009 season. In the 2009 season, the Padres were just 43-62 going into the last two months of the season, however. They finished 75-87 going 32-25 in the final two months. This could have been due to our young prospects which got very important playing time. Nevertheless, this is an important stat to bring up if you consider just how similar last season was. Three years later to the same date, the Padres were 44-62, yet in the 2012 season (43-62 in ’09). The Padres finished 76-86 (75-87 in ’12), going 32-24 in the final two months. Both times, young prospects got the chance to perform in the spotlight and gain some momentum and confidence going into the upcoming season. How good are our prospects you ask? Our farm system is consistently ranked inside the top 10 and it really depends on what site you’re looking at to get a higher or lower result. As John Sickels states in SB Nation’s Minor League Ball 2013 Baseball Farm Rankings. “Strengths: tons and tons of depth, large number of prospects in the B/B-/C+ range, could look even better if recent high school pitching drafts take off in ’13.” Our farm system does not have any powerful hitters, it’s ranked high because of our depth among skilled players. Here are some of our best hitters with stats brought to you by MLB.com. As you can see, we don’t have many hitters as prospects. Gyorko is ranked 50th in the top 100 on MLB.com. Austin Hedges is ranked 73rd, but some writers on some other articles and blogs have stated. “He’s everything you want in a catcher.” He also attended the same high school SDSU Basketball star Jamaal Franklin went to. Those are the only hitters ranked inside the top 100 list of prospects. Fans most likely will see some of Gyorko this upcoming season. For the others, Spangenberg is a player I am very excited about as he could provide some much needed 2B play aside from Forsythe. A knock on him will be his arm strength which could be something to improve upon while he works his way up, but it’s not a huge issue, it’ll just take out SS as a liable option. Spangenberg does have a prospect video on YouTube if you would like to check out every part of his game. Liriano is a kid to look out for, he’s got many tools to his game and he’s still working to expand them. At just 21 years of age, he has time to grow and mature a bit. Peterson on the other hand is athletically gifted and should be a great infield asset if he continues to grow. He is still in single A ball, and at the moment is contemplating pitching. As you can see, the depth and strength of arms are obviously seen here. Quackenbush could have the potential to be a great closer for the Padres going forward. He does give up too many walks as a closer (22 walks in 57.2 IP) but he could still be great going forward. Barbato is a young, hard throwing right handed pitcher. His strength is his arm, he bodes a quick release and has a fastball recorded at 96 MPH. A knock on him would be his control, but he does still have a long way to go so we’ll have to see if he can smooth out the issue. Roach is an experiment, he has been throwing the starter role and has done well, so no one really knows his exact role. He doesn’t throw a variety of pitches, but the ones he does throw he throws well. Including a deadly sinker which reaches mid 90’s and a nice splitter. The curve isn’t great, but it does produce many grounders for what it’s worth. Weickel is still very young as he was just drafted in the past draft, he hasn’t done well in the minor’s as of yet, but that could change. His strongest pitch is his fastball which reaches low 90’s, but has been recorded around 95. His pitches–for what he throws–he throws well at his age. He still has to mature a bit before he can really do some damage. Erlin may lack size, but he makes up for that with his left arm. He was brought to SD in the trade that sent Mike Adams to Texas. He mixes his pitches very well and is a very aggressive pitcher which may or may benefit him since Petco Park’s field dimensions are smaller. Wisler is another young talent and can be great if he can develop well. He has the potential to have a couple of nice pitches, but that is yet to be seen. He also throws a deadly curve if he can locate it correctly. So again, he is another young arm with a great potential. Portillo is a player I’m very excited for. He has one of–if not–the hardest throwing arm in the Padres’ farm system. He has reached 100+ on his fastball. His one big weakness is his control, that reflects in his walks (25 walks in 35.0 IP last season). Other than that, he could be a very effective starter. He has a good group of pitches to work with–a good curve and a decent changeup. His biggest weakness is his control however, and because of that his full skill set may never be seen effectively. Fried is the high school arm who was the Padres’ top pick in the past MLB Draft. He has a great future if he develops well in the minors. He’s a three pitch guy, with room to improve physically. He still has years left to become a Major League player, but hopefully what we see in the minors will be promising unlike former top picks of the Padres. Stay tuned for Part 2 which will be on our site tomorrow afternoon!